Do you like shopping online? I do because it is quick, easy and fuss-free. It gets even better when there is a huge sale going online, storewide discount... or in this case, when I get to earn money because I shopped online. 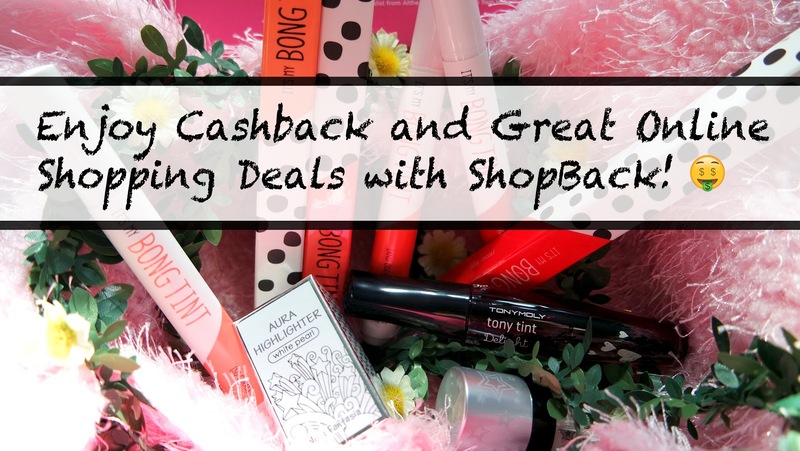 ShopBack Singapore works with 300+ stores and helps you to get the best deals and discounts from these stores, plus Cashback! Cashback is really just "getting cash back". When you spend online through ShopBack, they give you back a portion of your purchase in cash. This means extra, unlimited savings whenever you shop online! Their merchants reward them with a commission for referring us to shop on their site. Instead of keeping ALL the rewards to themselves, they share it with us! So for instance, if you spent $500 shopping for groceries from honestbee, you will earn back for yourself an amazing 5% worth of cashback (ie. $25)! You can get a discount code when you order your next meal from FoodPanda or enjoy an Agoda discount during your next travel. If you're looking for beauty products, you can choose to buy more for less when you search for the latest Sephora promo code at ShopBack. Find more online shopping coupons from the other merchants working with ShopBack, such as Cotton On, ZALORA, asos, Taobao and many more. For more information on how it works, click here to see. 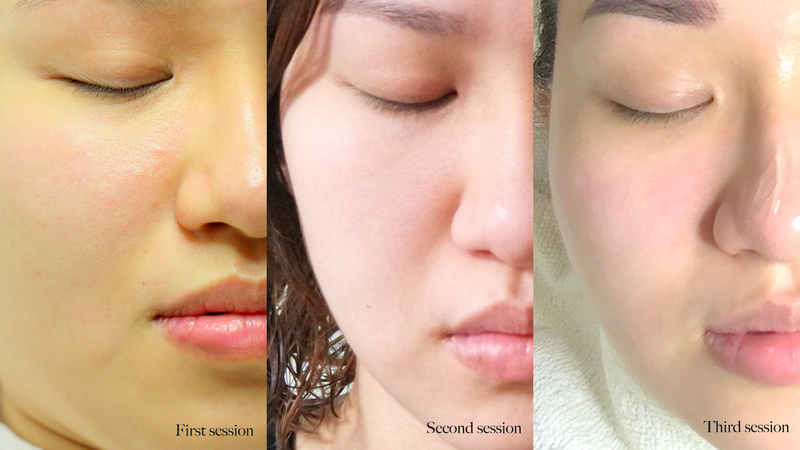 Remember back in July, I did a post on the laser facial treatment at Bejeweled? I promised updates and today I am back with an array of info. I received my treatment on a bi-monthly basis from Bejeweled, and have since completed three sessions. With the collage above, you can observe the significant difference in my pore size and presence of black/white heads — there is an evident visual improvement after each session. 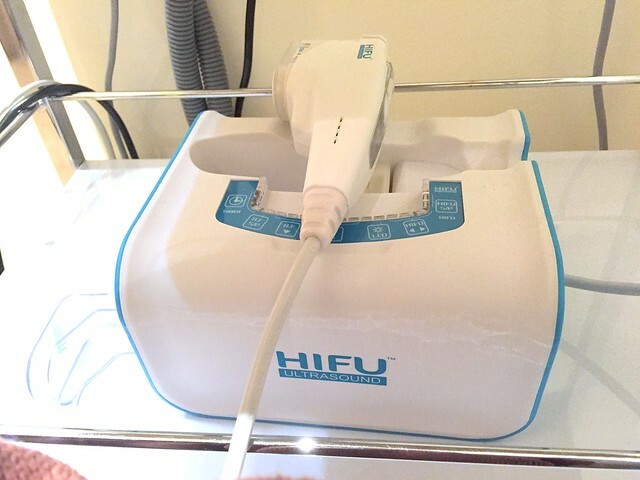 More illustration on the HIFU Non-invasive Face Lift Treatment is provided in the following pictures. If I were to compare the two treatment, I would say that they each have their own benefits and one can't do what the other can (obviously right?!). Is spending that much money on facials really necessary? Well yeah, if you are looking to have great facial skin. I am aware that some places offer facial services at a really cheap price, and albeit they might be friendly to your wallet, they might not be that friendly to your face. 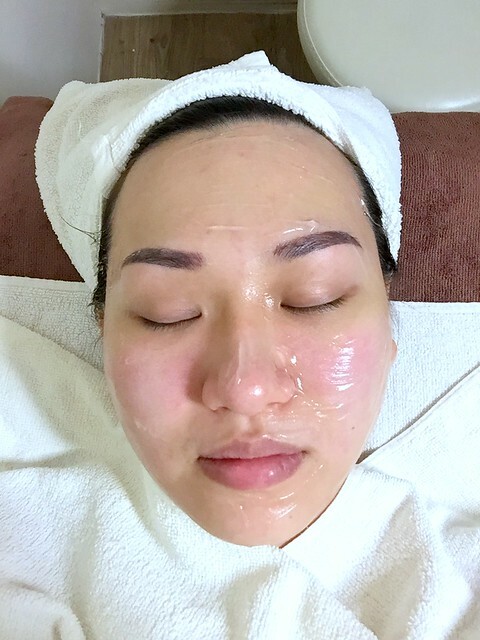 It is important to find a good beauty parlour and ensure that your face can be entrusted into the hands of a skilled beautician, or you would risk having one of those terrifying break-out episodes caused by a "bad" facial session. 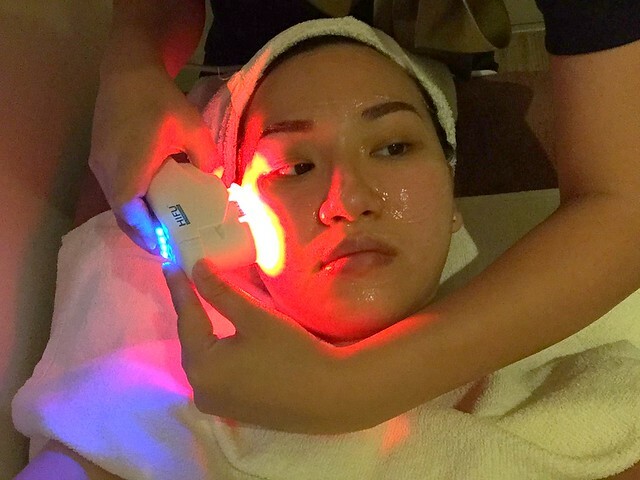 A skilled beautician will use appropriate techniques when extracting the blackheads – instead of using just brute force – and will also know to stop when your face is getting sensitive to the extracting. A skilled beautician will also recommend the right treatment for you, so that your money will be making its worth. Make your appointment with Bejeweled now at 6443 9789. You can check out their Facebook page for more information about their ongoing promotions. 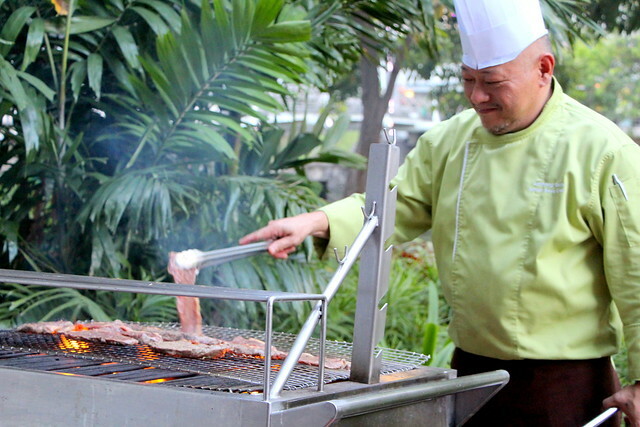 Hidden in Bukit Batok's industrial epicentre, Famous JB101 Firewokz is a zi char restaurant manned by the acclaimed head chef of Malaysian restaurant, "Restoran See Hai Johor". He has decades of experience, and after a long hiatus, he is picking up his work again and stepping back into the kitchen. 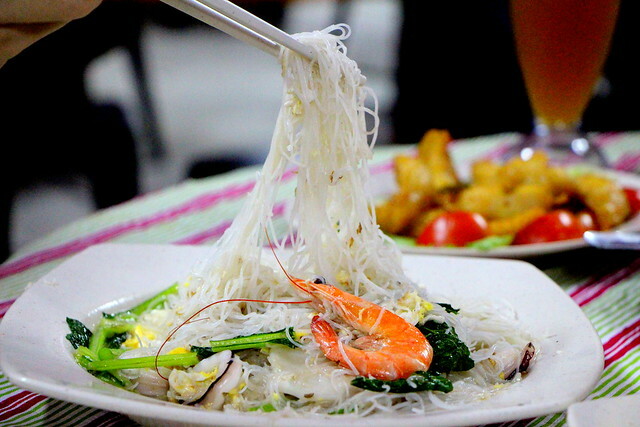 The restaurant promises to deliver a taste of old 'wokmanship' through their dishes, and diners are recommended to throw in two-dollars more to add chilled crab meat into their classic dish for an additional sweet and umami seafood flavour. Now, here lies the big questions: Will we be able to taste the promised "old wokmanship"? Is it really worth going for the $2 chilled crab meat option? In my honest opinion, no and no. Read on to find out why and more. 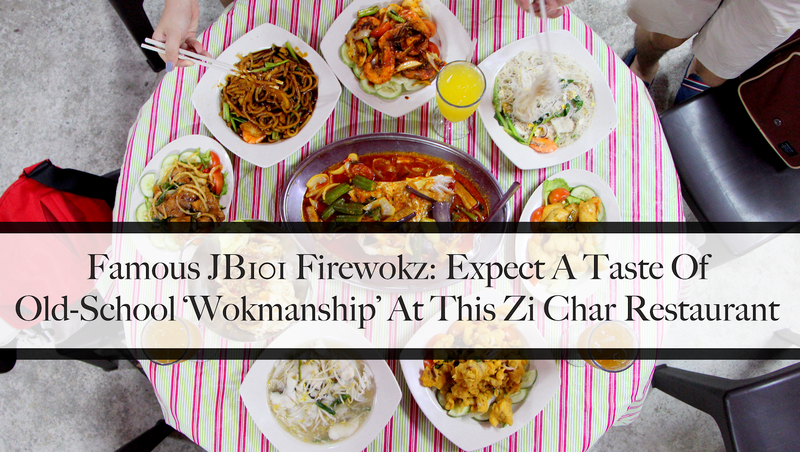 Famous JB101 Firewokz is located in the open-air food court within WCEGA tower (click here to view it on Google map). It is not your most accessibly-friendly location, as there is no MRT stations in the vicinity and only a handful of buses that travel to the region. When we arrived at a quarter past seven, the place was eerily quiet. Less than half a dozen people were there for dinner. We wondered how their business could have survived till thus far and concluded that it was probably due to the office workers who would dine at the food court during lunch hour for the sake of convenience. To be really honest, the food served was edible and pretty alright. However the low rating given was a result of mismatched expectations; they did promise a taste of old-school wokmanship and I tasted none in their dishes. 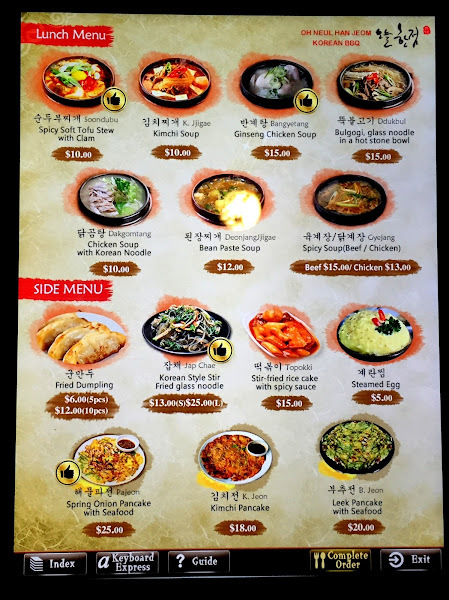 Also I felt that for a regular portion of their meat and seafood dishes, the prices were a tad too steep. Perhaps I am being too strict. Perhaps I should have taken the press release with a pinch of salt. My bad? 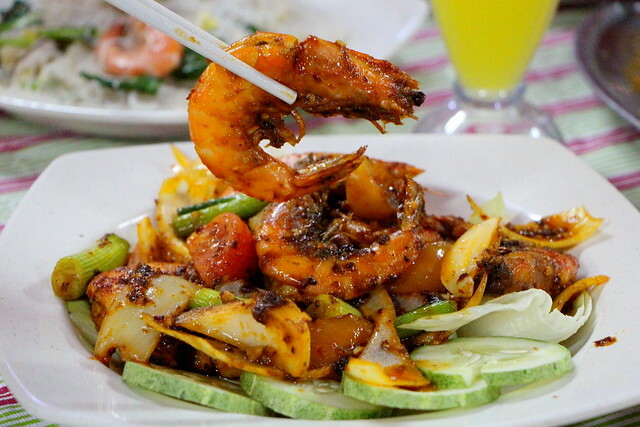 If you are a fan of good ol' spicy sambal and prawns, this dish is made for you. 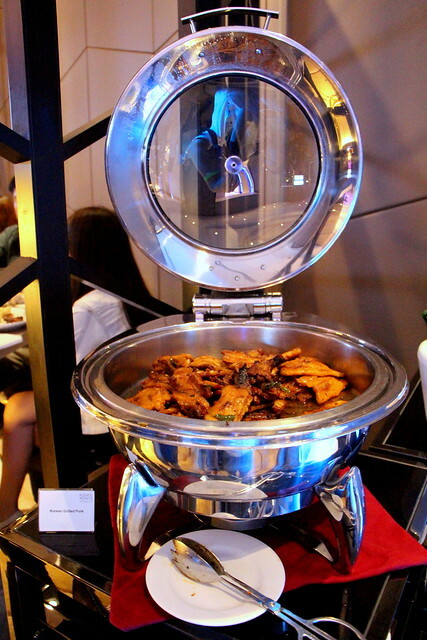 We liked the fragrance of the sambal and the use of fresh prawns. Do note though that alike most prawn dishes, you gotta get your hands dirty in order to get the good stuff! Assam Fishhead is one of my favourite fish dishes, and I am glad that the chef did not hold back on the assam paste for this one. It was spicy, it was sour. I like the addition of eggplants, okra (lady's finger) and tomato, which helped to dial back on the spiciness of the dish. 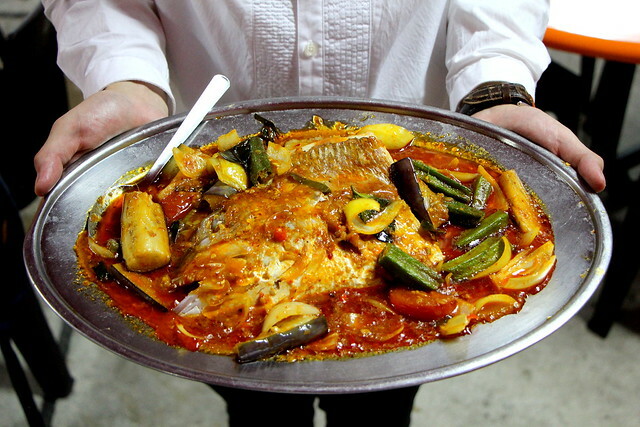 The fish head used is your usual snapper, and it was fresh and tender. This was definitely one of the best dishes of the night! 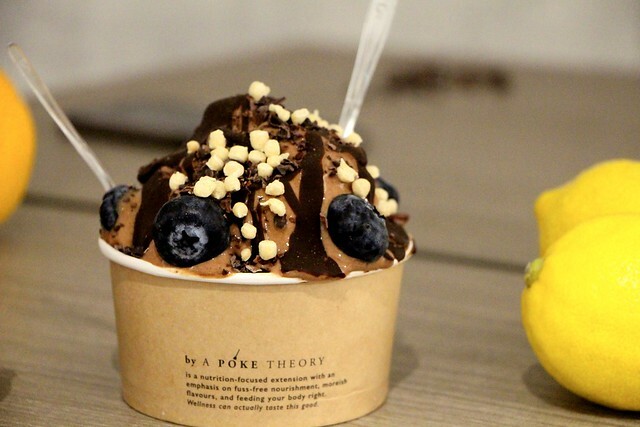 This is not your usual café-style salted egg, where there is more custard than salted egg. We are talking about all of the good stuff here, where the salted egg is grainy and savoury and gives a umami rush. 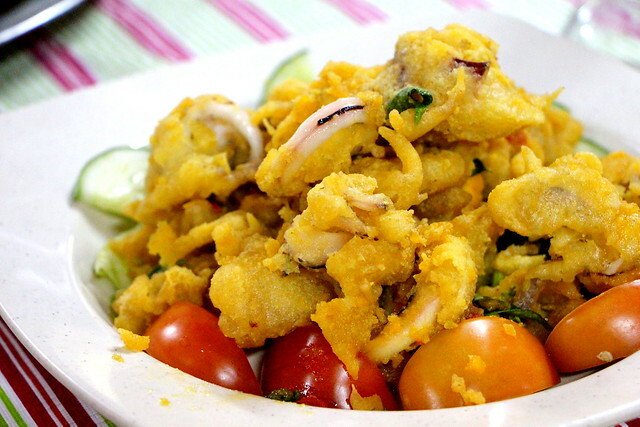 Each piece of sotong is well-coated in the salted egg mix, and deep fried to crisp. 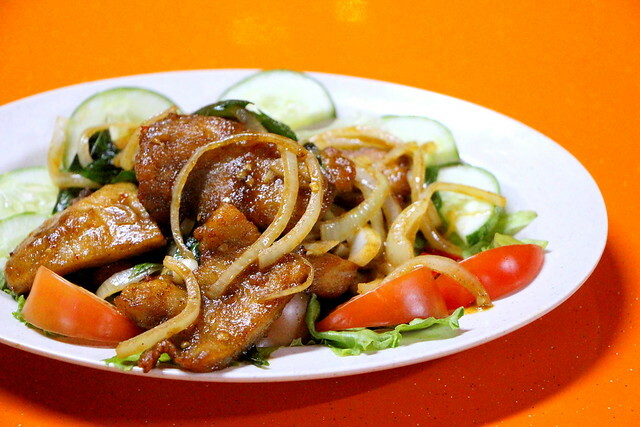 I like the silky texture of the kway teow, combined with the savoury thick gravy that the noodles were stir-fried in. A generous portion of sliced fresh fish were given, and the beansprouts were plump and juicy and and had a crunch when bitten into. If you need some carbs in your meal, opt for this instead of a bowl of white rice, you'll thank me for it! For more information on Famous JB 101 Firewokz, do check out their Facebook page. Note: This post was sponsored by Famous JB 101 Firewokz. This pizzeria was an unexpected treasure find, and for that I really have to thank sgcafehopping for dragging me along to this food tasting session! 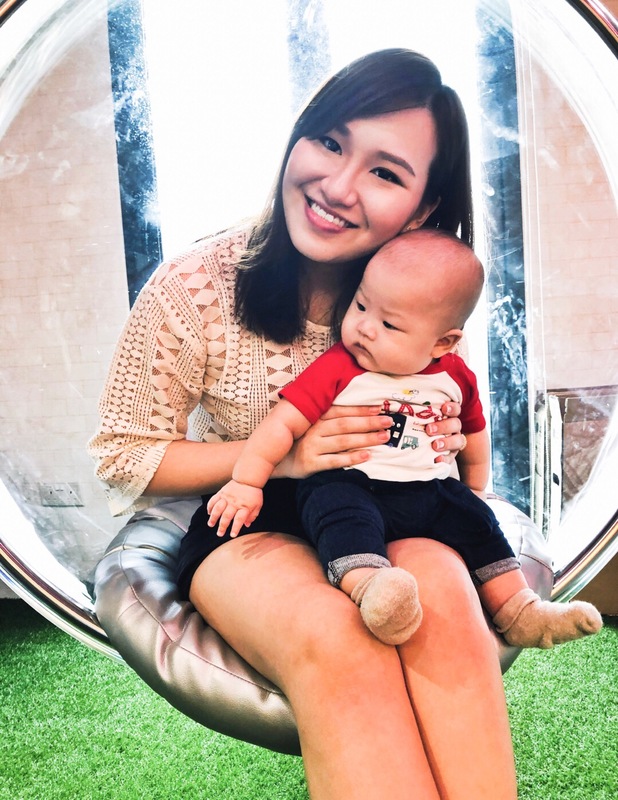 I always believed that despite Singapore's limited land mass, we still have several fabulous eateries hidden throughout the island and this is definitely one of them! 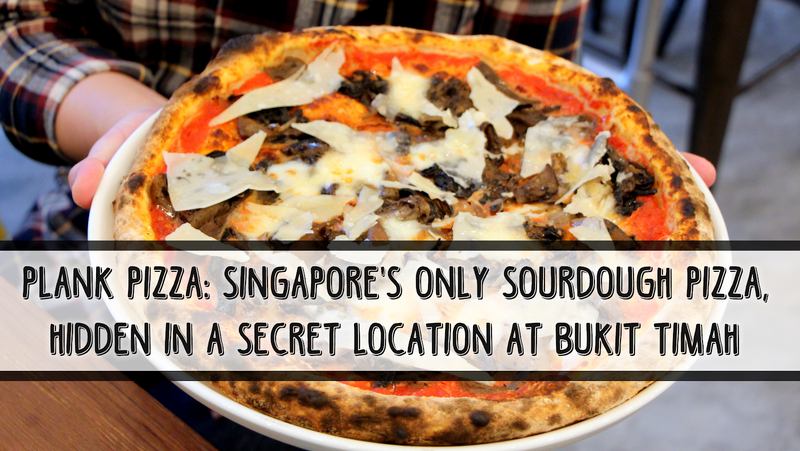 Plank Sourdough Pizza is opened by the same owner of Baker & Cook, and has two locations in Singapore: one at East Coast and the newly opened Namly Estate (also where Baker & Cook resides at). It was my first time having sour dough pizza and I gotta admit, I am a huge fan of it! I like the topping combinations, and the sourdough pizza base – it's like having a sourdough bread that is flatter and thinner. 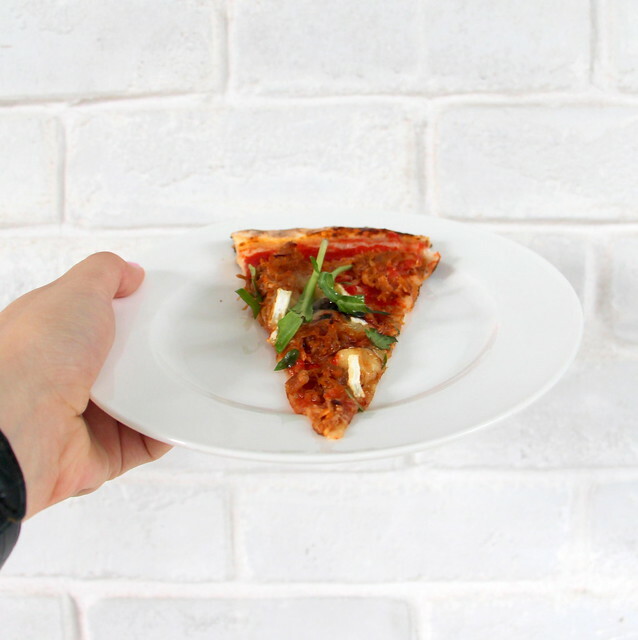 Both pizza flavours as featured in this post are favourites of the restaurant that is commonly ordered by their customers. It is hard to decide which one that I do prefer more as they each boast their own unique feature. The pulled BBQ chicken pizza is sweeter in nature due to the cranberry compote, and carried a tinge of tanginess from the tomato base. 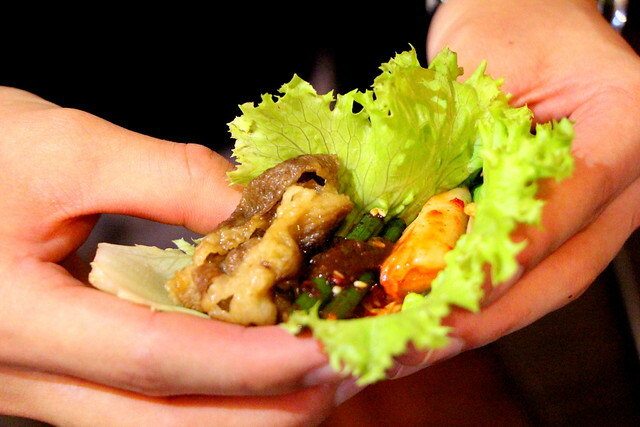 The rocket lettuce provided an additional crunch and refreshing factor to the dish. 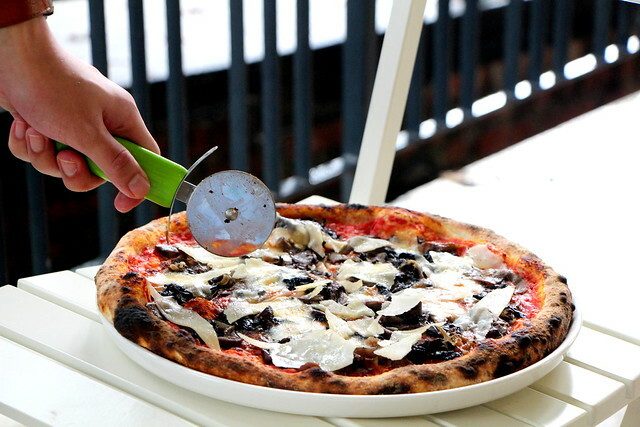 As for the vegetarian pizza, anything with truffle oil, I'll love! 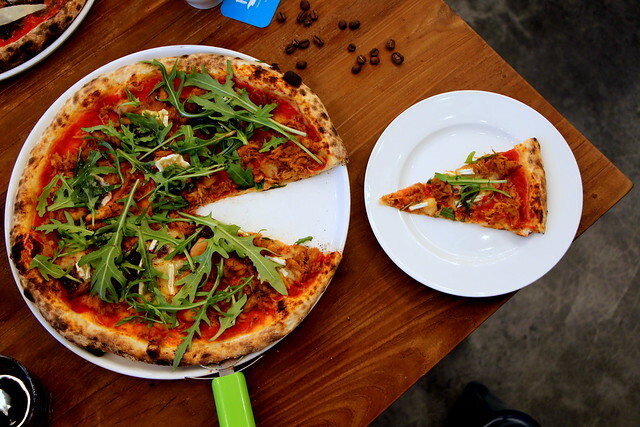 This is definitely a pizza for those who are unadventurous and prefer to stick with a safer option. 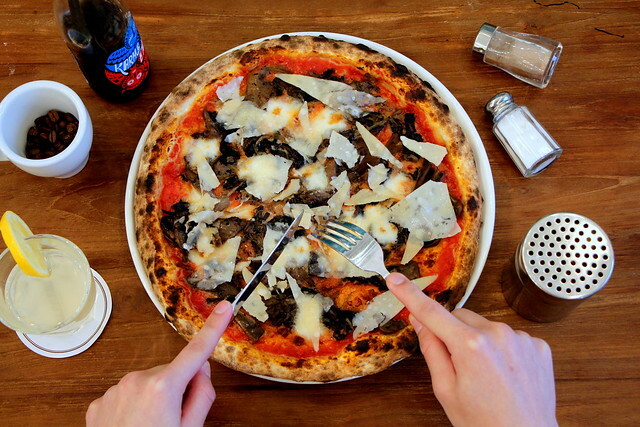 It has your traditional flavours of tomato, mushrooms and flaky parmesan cheese. Now onto desserts there are two options available on the menu, either the plank affogato or cheese plank pizza. 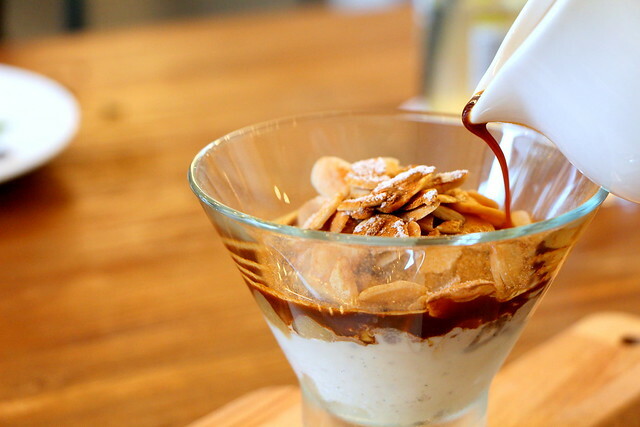 The plank affogato was what you'd expect from an affogato, fragrant espresso topped onto a creamy scoop of vanilla ice cream, added with some toasted almonds for a bit of crunch and texture. The cheese plank pizza was something new and what I had never tried before. I am not a fan of blue cheese, but this one I do like! 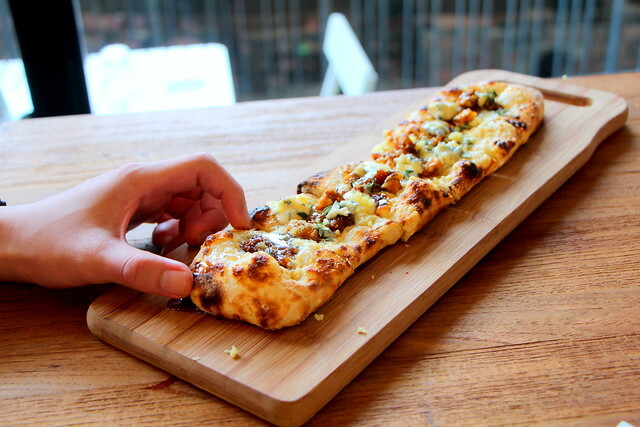 The cheese plank pizza also uses a sourdough base; it is sweet in flavour due to addition of maple syrup and fig jam. I would highly recommend trying out this dessert – you'll fall in love with it like I did – and due to the large portion, please do share this with your fellow diners! For more information, do check out their facebook or instagram. 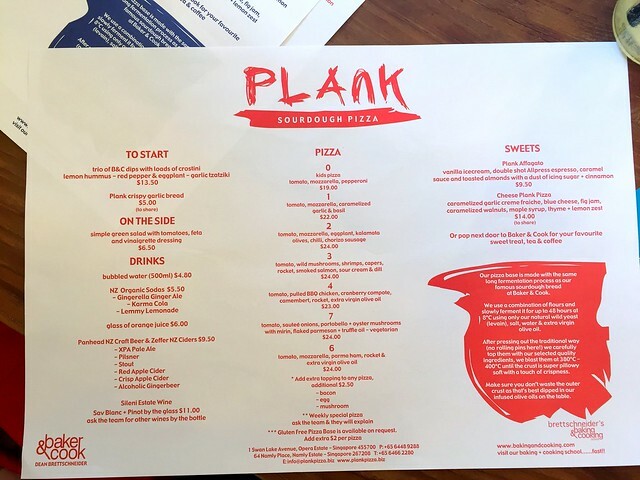 Note: This post was sponsored by Plank Sourdough Pizza. 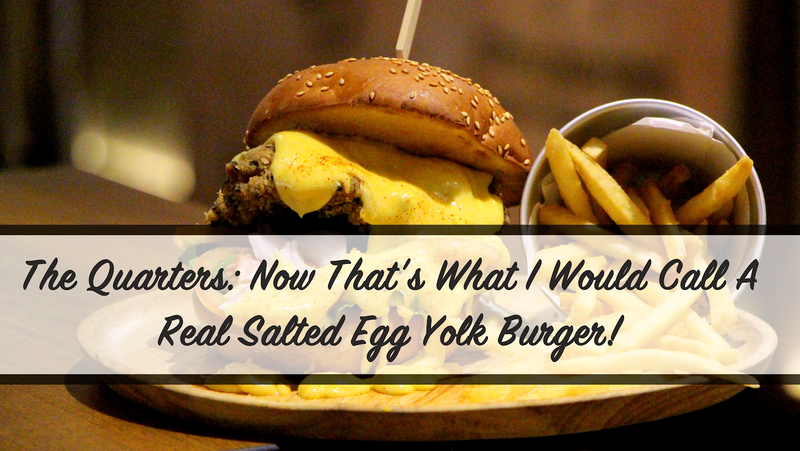 The Quarters: Now That's What I Would Call A Real Salted Egg Yolk Burger! I have been to The Quarters several times, and it is one of those cafés that (fortunately) does not serve the usual café food. 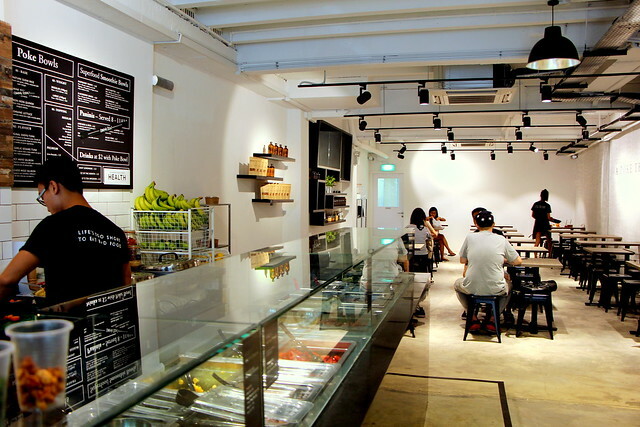 It has established its own niche in creating modernised food inspired by local flavours. 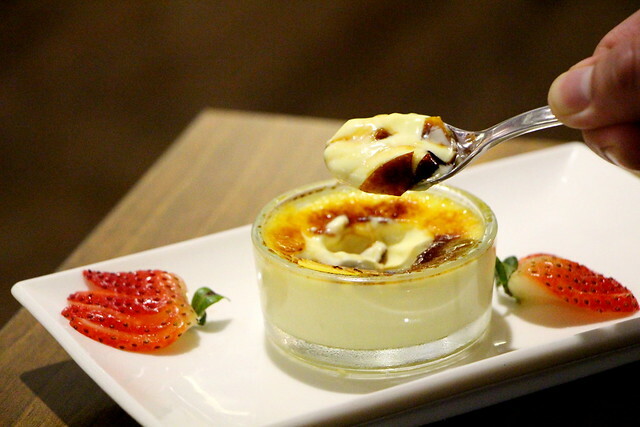 We see things like chilli crab pasta, salted egg yolk fries, durian creme brulee and etc. The cafe has more unique creations to offer in its menu, but hey, here are some dishes that you can start off with when you go running off to the cafe right after reading this post! Read on to find out more. 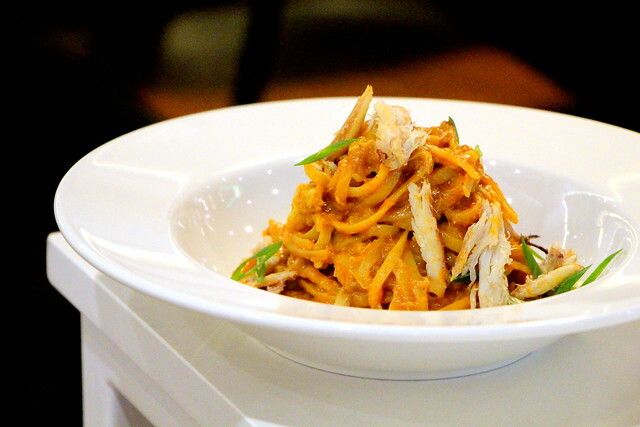 The best Singapore chilli crab pasta experience. Using fresh spices, crab meat and linguine, it'll get you feeling fabulous! A couple of months back, MacDonald's decided to jump onto the salted egg yolk bandwagon by releasing their own rendition of salted egg yolk burger. That launch however was rather a big flop from Ronald and caused avid fans of this uniquely Asian flavour to cry wolf. With that said, the concept was pretty interesting and it would have been great if someone could have perfected the combination – and of which The Quarters has succeeded in with their Real McCoy! 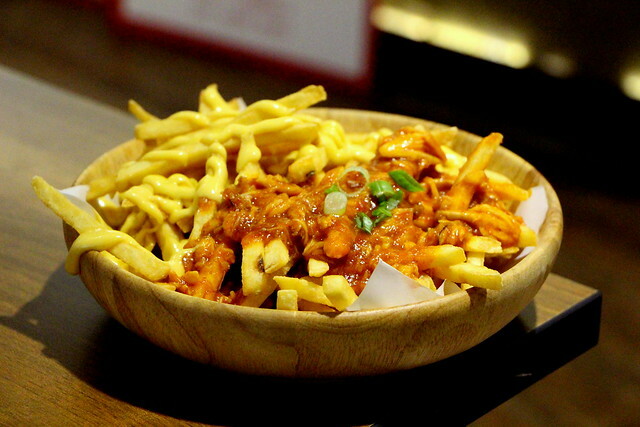 But first let's introduce the starter, Shiok Fries. Instead of offering the traditional cafe food (ie. truffles fries), the cafe took a spin on shoestring fries and had it paired with their signature aioli sauce and must-try chilli crab sauce. It is like walking into a tze char and ordering two plates of salted egg yolk crab and chilli crab, minus the crab and mess. 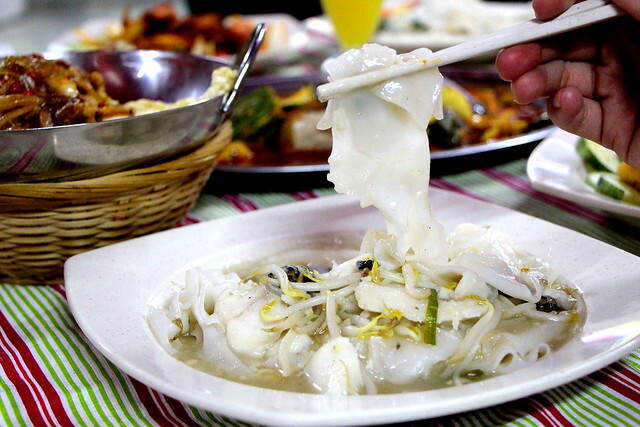 If you are a fan of those crab dishes, then you gotta try this! Next up, we have Ma Jie's Indulgence. I hesitated a little when I first heard about this dish. 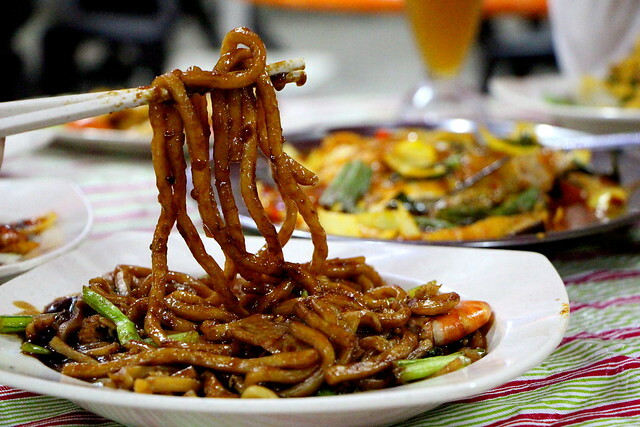 Most places offer the chilli crab sauce with pasta, but there would be no crab meat in sight. The Quarters however know that it is ridiculous to offer a chilli crab pasta without crab meat, hence they throw in a sizeable portion and boy oh boy, this pasta dish is addictive and definitely filling. 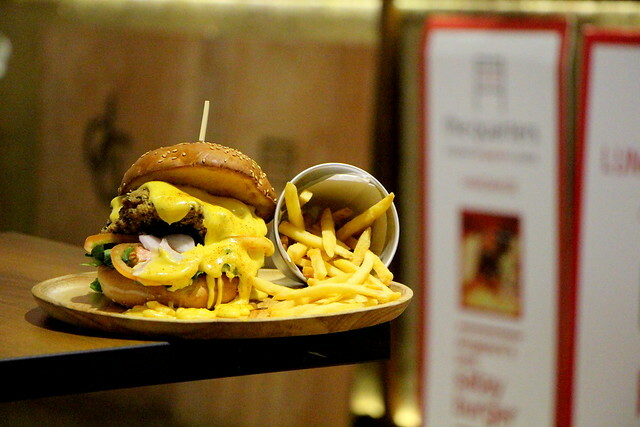 We've finally reached the Real McCoy, which is The Quarters' own spin of the salted egg yolk burger. Using the same salted egg yolk aioli sauce drenched on a huge chunk of deep-fried well-marinated juicy chicken patty, you honestly cannot ask for more. It is a bit messy to eat and I would highly recommend for it to be shared amongst two pax, unless you're feeling extremely hungry on that day! Wrapping up with some desserts, it is the famous Duriancanboleh which The Quarters is known for. You've probably already seen this from my previous article "10 Mouth-Watering Desserts That Will Set You On A Cafehopping Adventure" so I shan't elaborate further. For more information on the latest ongoing promotions or new additions in the menu, do check out their facebook page and Instagram. 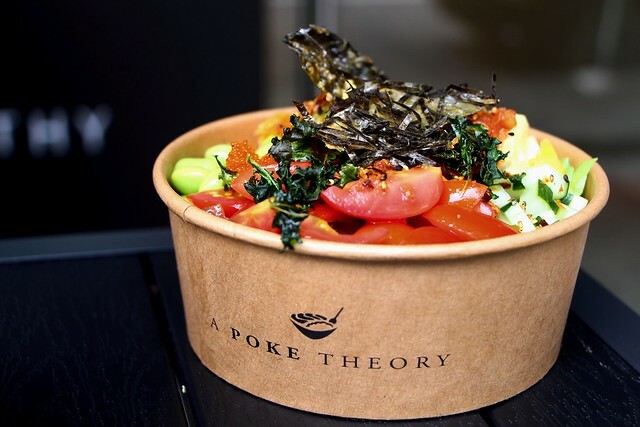 A Poke Theory is the ideal cafe to head for when you're looking to have something healthy and packed with nutrients. 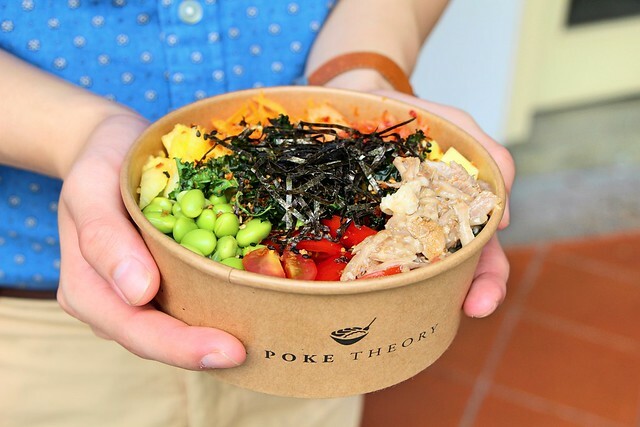 If you're wondering why the name Poke – no it isn't named after Pokémon – it is a Hawaiian verb meaning "section" or "to slice or cut". 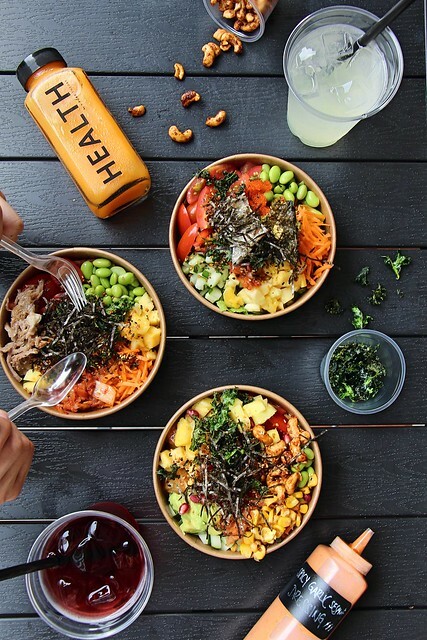 At this cafe, they serve the freshest cuts of marinated tuna or salmon over a bed of Japanese sushi rice, gluten-free quinoa or fresh romaine lettuce. You can add some variety to your meal by topping it with some tobiko, pineapple, kale chips or their crowd-favourite kalua pork. Read on to find out more. 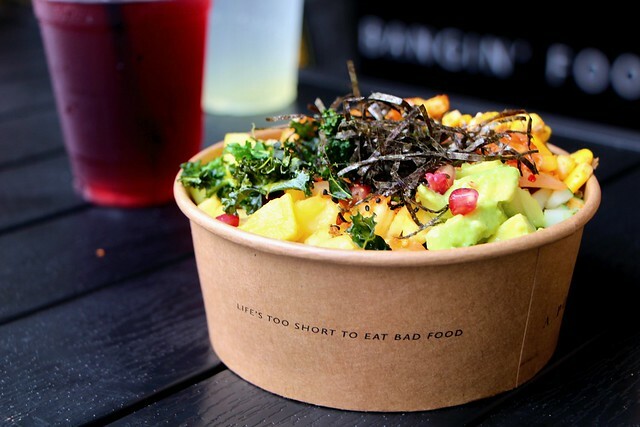 Or how about some lime avocado, BBQ corn, thai mango and peruvian pomegranate? Umami, sweet, with a spicier kick; a tuna option set up to be a total crowd-pleaser. Salmon cubes doused in our nutritious, wildcard flavour of avocado, miso & more. And yes, no mayo is used here. Before you continue reading on, I must put forth a word of caution that I am not the best person to judge this round of food and flavours. My allergy to raw fish prevented me from trying out any of their main staples (ie. tuna and salmon) and hence my diet for the day was akin to one of a pregnant woman's. 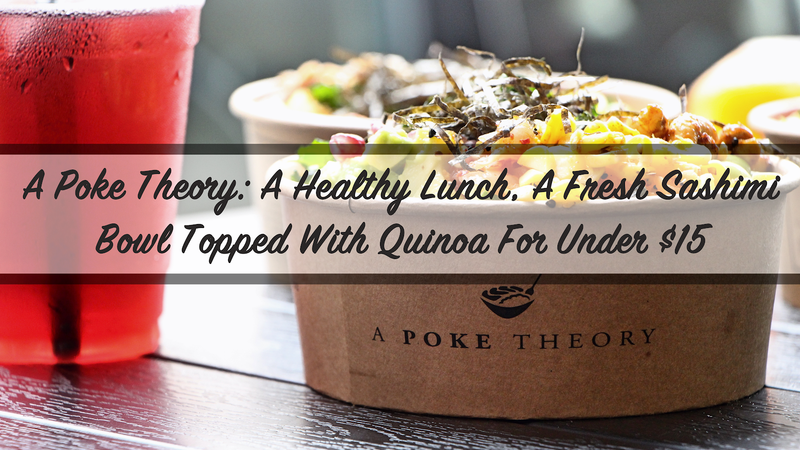 In replacement of the fish, I had a choice of two more toppings with a base of quinoa – the bowl with the Pork Kalua,that's mine! 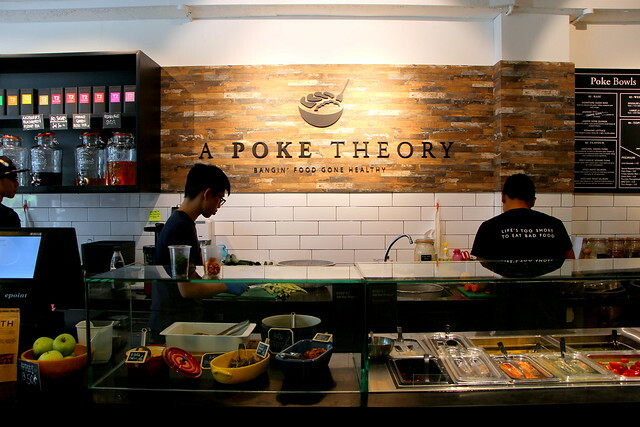 The good thing about A Poke Theory is that they left out bottles of their sauces (used to marinate the fish) out on a counter, and you can add it freely to your bowl for additional flavours. I tried them all and concluded that I was a typical Asian who prefers the miso sauce. A general consensus between the three of us who went for the tasting is that the initial bites were really good and addictive, but towards the end of the bowl, the flavours get a little nauseating. Perhaps it is the fish – an overwhelming amount of raw fish – or the fact that we were all virgin to this unique Hawaiian cuisine and unable to attune to it. With that said, because most of the food is raw, you are supposedly absorbing the best of the nutrients with none being lost to heat. This is a healthy meal suited for those looking to lose weight or to replace proteins from a good gym session. Or even those who are avid fans of sashimi! 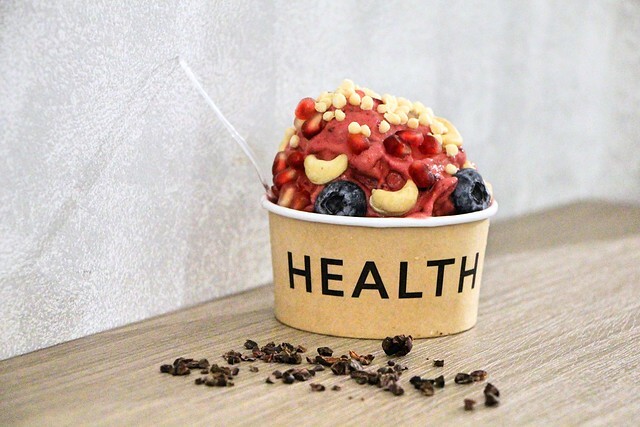 For a better insight into their menu and the range of toppings available, click here. For the latest update on their ongoing promotions, do check out their Facebook or Instagram. Tons of whole hearty clams in this delicious stew! 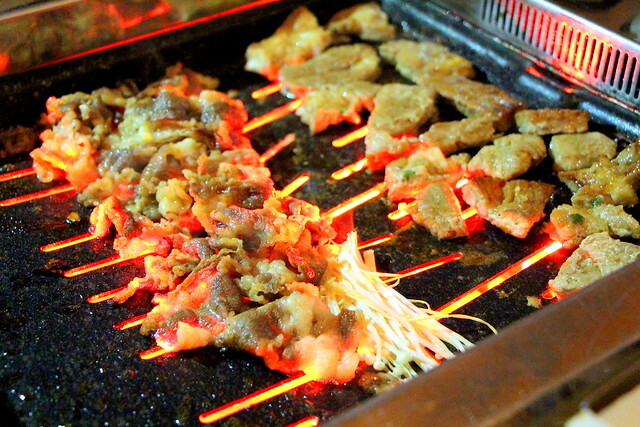 Who doesn't love a good Korean BBQ? I know I do! However I have always avoided it due to the fear of walking out of the restaurant, reeked with the stench of meaty grease and smoke. 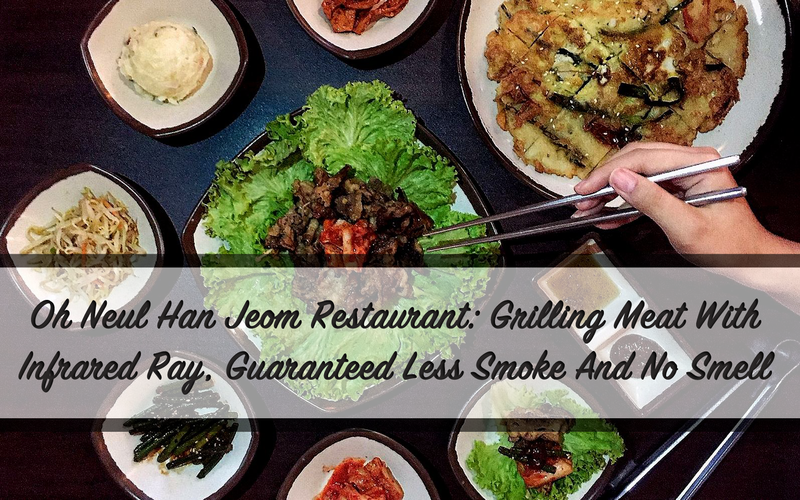 That is (fortunately) not gonna be the case at Oh Neul Han Jeom, as the restaurant adopts an infrared ray stove to cook their meat! 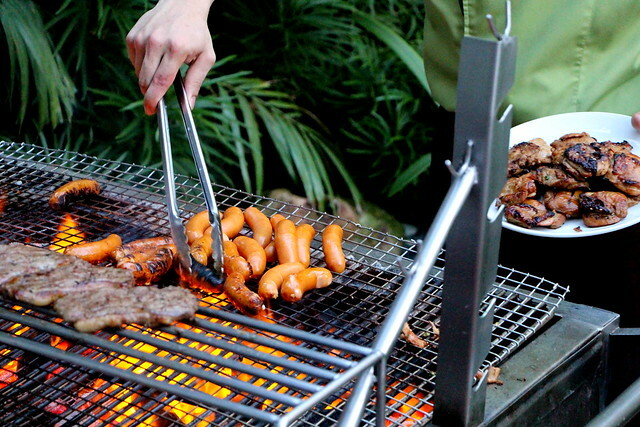 With the infrared ray stove, the meat is cooked from the inside-out thus producing less smoke. The conventional cooking mechanism that uses heat cooks meat from the outside-in, hence it dries out the moisture within the meat and produces smoke. That smoke carries the grease, gets blown on our body, and thus we end up smelling like a roasted pig! In conclusion, infrared ray stove is goooooooood! It is from henceforth, my top requirement when searching for a Korean BBQ place. Do try their meats marinated with soy sauce! 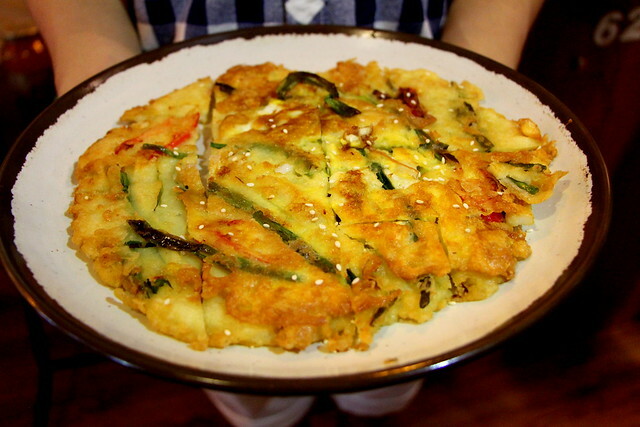 Moving onto the Pajeon, a good pancake is crispy on the outside while soft and moist on the inside, and sufficiently tasty. This one from Oh Neul Han Jeom fits the bill! 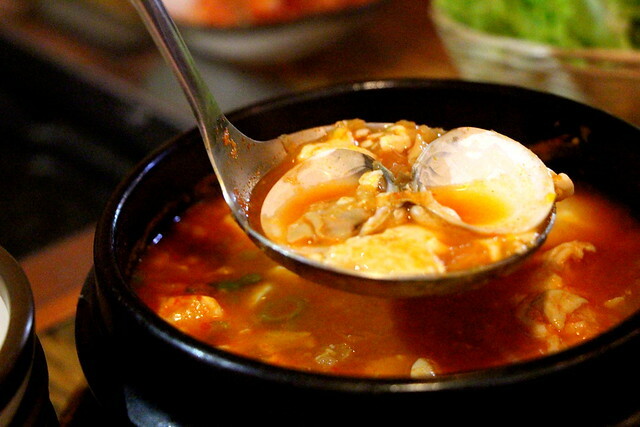 Swish all the tasty meats and pancake down with a nice spoonful of Spicy Soft Tofu Stew With Clam. 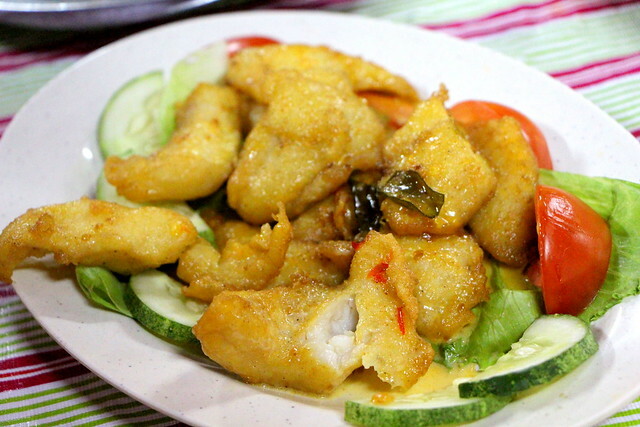 It is slightly spicy, and made flavourful and refreshing with the addition of clams. 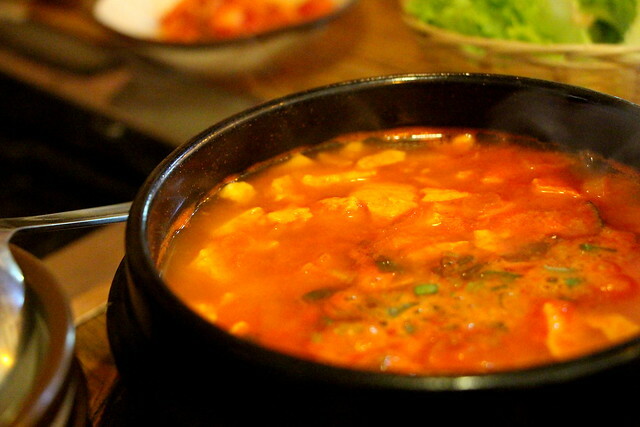 If you are a fan of tofu stew, I highly recommend you to try this out! 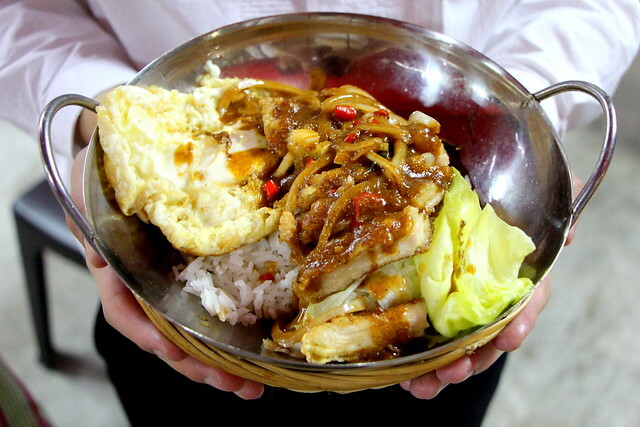 Oh Neul Han Jeom has affordable lunch sets for 1 pax, ranging from $10 to $15. Check out the pic below for an idea on what they've got available! Follow Oh Neul Han Jeom on their Facebook page for the latest updates on their promotions and dishes! Note: This post was sponsored by Oh Neul Han Jeom Korean Restaurant. Post-Note: Oh Neul Han Jeom has ceased its operations as of 9 October 2016. I never kid, when it comes to beer. My boyfriend is too much of a beer connoisseur and wouldn't allow me to taint this esteemed alcoholic beverage even if by the slightest bit. It is my greatest delight to share with you about Four Points By Sheraton Singapore's very own brew, the Tall Tale Pale Ale. Made by Archipelago Brewery – just for Four Points by Sheraton Singapore, Riverview – this is a beer that you would not want to miss out on because you can’t drink it anywhere else in Singapore and the world! Read on for more info on this beer and its accompanying all-you-can-eat-and-drink "Brew & BBQ night" on every first Friday of the month. The Best Brew is a bar located in the lobby of Four Points and it takes #TGIF to a whole new level with the launch of its Brew & BBQ nights. 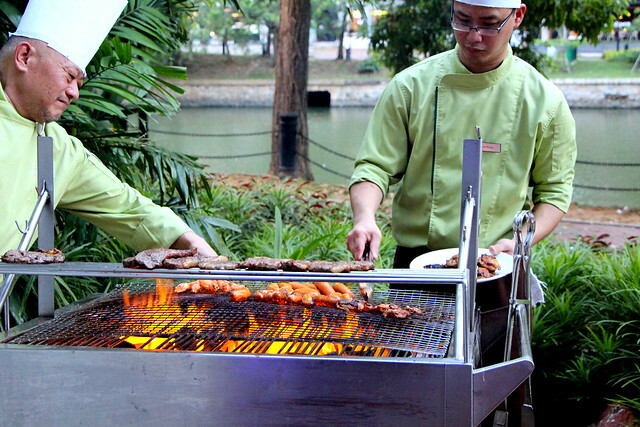 Starting August 2016, on the first Friday of every month from 6:30pm to 9pm, customers can indulge in a tantalising spread of freshly-barbecued delights such as Tiger Prawns, Mini Striploin Steaks, a Middle-Eastern style Grilled Chermoula Salmon Steak and Chicken Teriyaki, together with a selection of free-flow beer. Here is a tip: If you have a level of rarity that you like for your steak, stop by the grilling station and request it from the chef. They will gladly have it done and you can return to collect it in just a bit! 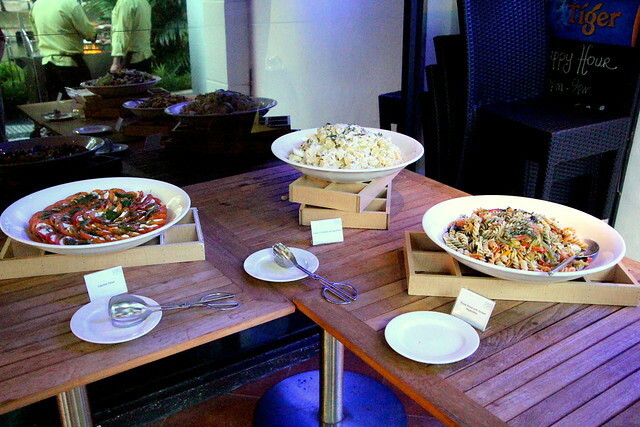 This all-you-can-eat promotion is priced at an attractive $58 nett that also includes a salad bar with a refreshing Garden Picked Wild Lettuce with Strawberries, and dessert counter featuring their signature rich and creamy New York Cheesecake. 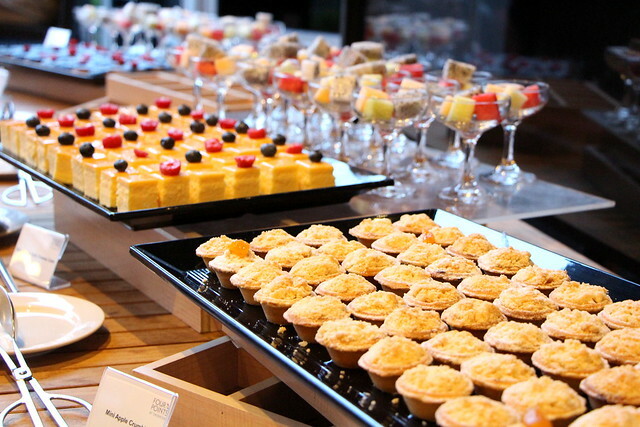 My personal favourite from their dessert counter was however the sweet and tangy Apple Crumble Tart. Specially crafted for Four Points By Sheraton Singapore Riverview, the Tall Tale Pale Ale (priced at $16++ per pint) is an easy-to-drink beer that is great for any time of the day! The medium bodied pale ale carries 4.3 percent alcohol and has a pleasing floral aroma and mild-hoppy finish, while also possessing zesty citrus notes that makes the beer highly versatile and quaffable with most foods, especially the range of bar bites offered at The Best Brew. Kirin Beer + Yakitori Chicken Balls ($15++) – A skewer of four perfectly marinated and grilled chicken balls is served with a soft-boiled egg; guests simply dunk the meat into the egg before downing them. 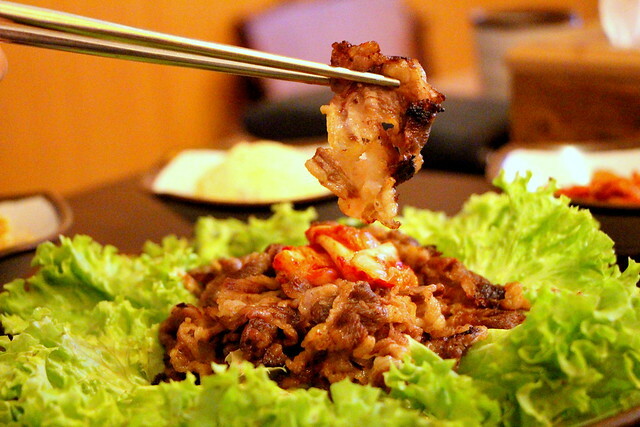 Max Beer + Korean Grilled Pork with Homemade Kimchi ($15++) – Fillet of pork loin and leek are skewered and grilled before being served with a helping of homemade kimchi and a sprinkling of lemon-pepper salt. Australian Brewery Pilsner/Pale Ale + Beef Sliders / Panko Crusted Soft Shell Crab / Spicy Buffalo Wings ($40.80++, offered on a rotational basis) – The bar bite of that evening will be served with two cans each of pilsner and pale ale in a customised bag filled with ice. Tall Tale Pale Ale + Chicken Rice Ball ($16++) – A rice ball is sandwiched between two slices of cucumber, topped with a juicy piece of chicken thigh and served with a house-made chilli sauce. SPG members will receive a 20 percent discount (may not be used in conjunction with other deals) on the above promotional pairings from 11am to 10.30pm daily. Offering some of the best deals in the area, The Best Brew’s Happy Hours stretches from Monday to Saturday, 3pm to 9pm and on Sundays, for 12 hours from 11am to 11pm. 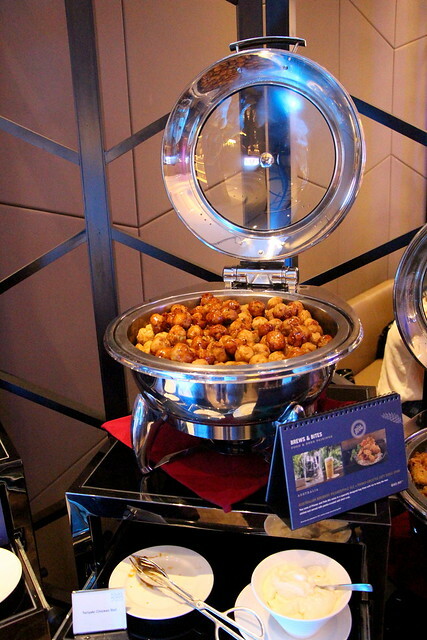 Guests can enjoy a bucket of Best Brews; a choice of five beers from around the world, for just $48 nett, and receive a 20 percent discount on one bottle of Mini Moët & Chandon Champagne. They are also entitled to 50-percent off during Happy Hours for selected beer, house pour wines and house pour spirits. 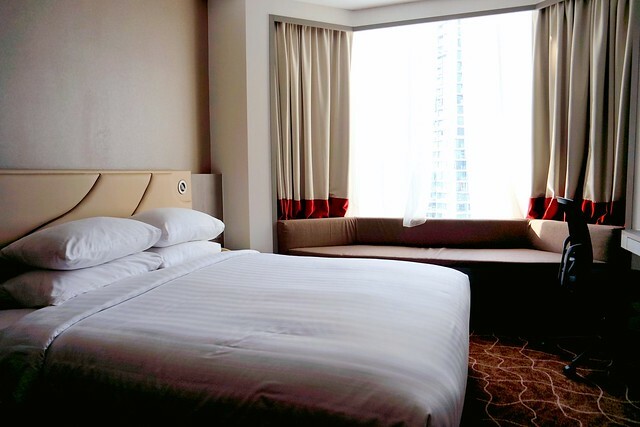 Similarly, Starwood Preferred Guest (SPG) members are entitled to the same 50% discount but for a longer duration of 3pm to 11pm from Monday to Saturday. Patrons of the hotel can enjoy a special Bed & Brew deal starting 1 Aug 2016. This limited offer entitles hotel guests to two complimentary glasses of the Tall Tale Pale Ale per room per night for the duration of the stay. Click here to make a reservation now. 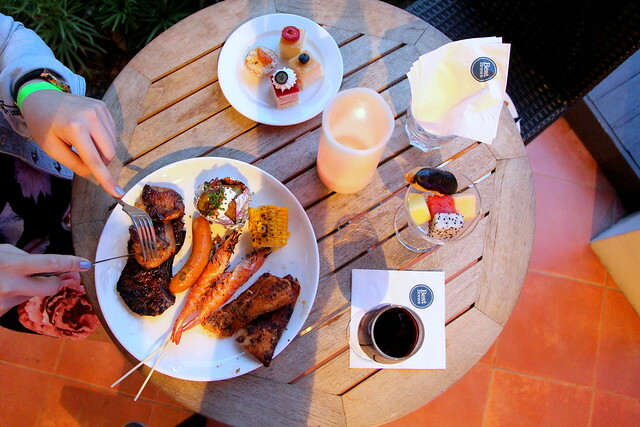 Find out here for more information on the "Brew & BBQ" buffet or to make a reservation for the upcoming first Friday of the month! 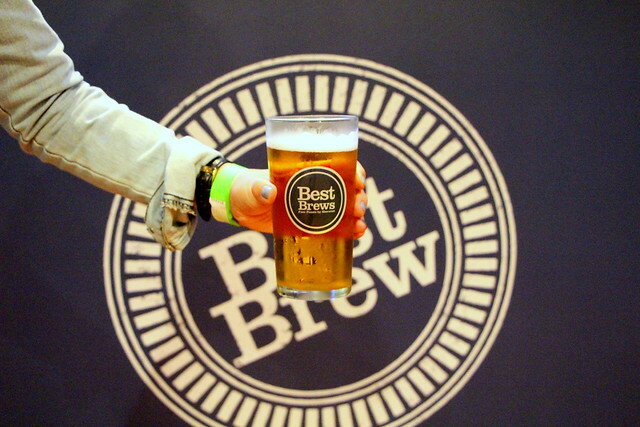 Only at $58 nett/pax from 6.30pm to 9pm at The Best Brew. 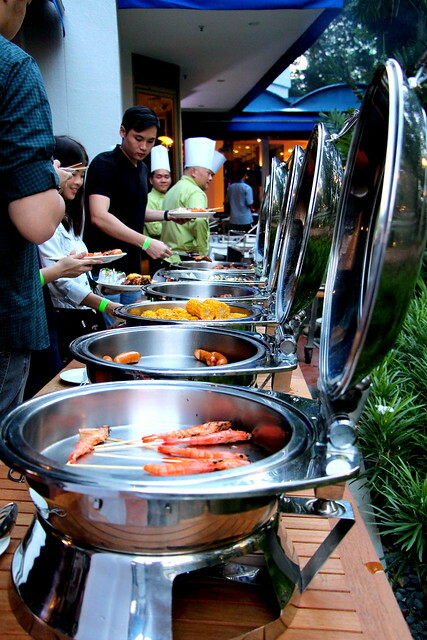 This post was sponsored by Four Points By Sheraton Singapore Riverview and Starwood Hotels & Resorts.